Maninder Singh scored six raid points while Ravindra Kumawat fetched five points for Bengal Warriors. 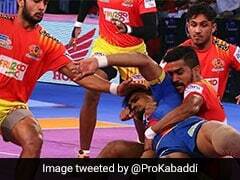 Bengal Warriors clinched a narrow 26-22 win over Puneri Paltan in an inter-zonal clash of the ongoing Pro Kabaddi League (PKL) in Ahmedabad on Saturday. Bengal's Maninder Singh scored six raid points and his teammate Ravindra Kumawat fetched five crucial points. On the other hand, Puneri Paltan's G.B. More scored nine points but just didn't get enough support from his fellow raiders. In the second match of the day, Bengaluru Bulls played a 30-30 draw against Gujarat Fortunegiant in a thrilling contest. Earlier, GB More got Puneri Paltan up and running with two raids in two minutes but Bengal Warriors leveled the game with a tackle and raid point. Akshay Jadhav got into the act for PuneriPaltan and scored two raid points to give his team 4-2 lead. G.B. More made a two-point raid as PuneriPaltan led 6-3 after five minutes. Bengal Warriors never let the lead increase to more than three points as their defence helped them to level the match at 7-7 after 10 minutes. Both teams approached the match with caution as they traded raid and tackle points at regular intervals. At the end of the first half, Puneri Paltan held a slender one-point advantage to lead 13-12. The second half saw the same pattern emerge as neither teams could gain an advantage. There was no all-out inflicted and neither teams' raiders could get going as we have seen in the past. After 30 minutes of play both teams were level at 16-16 and it was anyone's game. A lot of empty raids were made as both teams played on the do-or-die raid strategy. It was Bengal Warriors defence that kept them in the game as they made a slew of successful tackles. 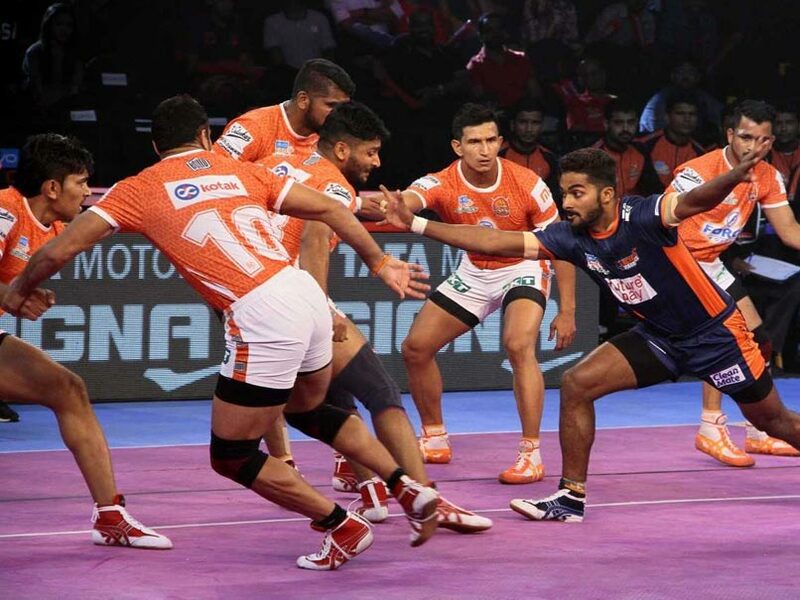 In the 36th minute, Maninder Singh made a crucial two-point raid to give Bengal Warriors 21-19 lead. In the next minute Bengal Warriors inflicted the first all-out of the match to open a six-point gap to lead 25-19. Despite G.B. More getting two raid points in the last two minutes, Bengal Warriors held their nerve to win 26-22.